"Refried beans are simple to make when cooked in a slow cooker. This recipe will yield flavorful, fat-free refried beans seasoned with garlic, jalapeno, and cumin." 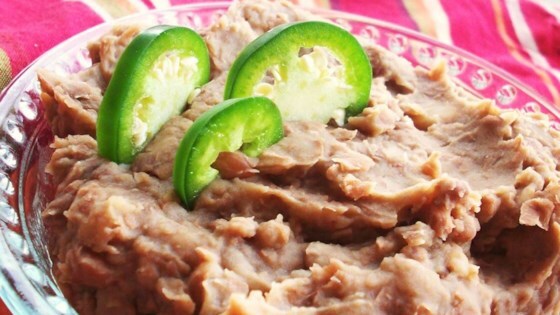 See how easy (and delicious) it is to make refried beans in your slow cooker! Delicious! I cut the salt to 2 1/2 tsp. and added a can of green chillies in place of the jalepenos. It turned out great! I will be making this often.